There are a lot of important factors for a good performance of your website in the Net. Do you know that Google for instance pays attention on over 200 factors to rank your website and search engine mechanisms have been updated and upgraded several times a year? Search Engine Optimization or SEO, as we all called it is not the little thing that you missed and you can buy for a few bucks from the market. It is important to know that this is not an object or a simple piece of source code, it is a process and it takes time to make better performance. Why should you want to have SEO? It is not cheap, it takes time, so you have to invest money and time and in the end you are not sure about the results? The things are simple. You just have to ask the right questions. Is there point to have magazine if nobody reads it? Does it make sense of shop, in which nobody buys anything and nobody don't even enter to see the goods? If this sounds familiar for you and you have such kind of problems with your website.. the answer for you is YES, you need better performance and SEO! 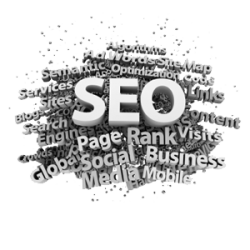 We can offer SEO services for new or existing websites. If the website is not made by us we will make an analysis for better understanding what is needed to be done. Some websites just have to be rewritten, others need another hosting, or better keywords, original content, original photos, branding, etc..
We will check HTML and CSS validations, backlinks and many other things and you will get the results in your analysis. We will advise you what has to be done.. It is up to you to choose the right way for SEO or not.